I purchased my PS4 a bit less than a year ago, and I’ll have to admit I went full digital: My PS Plus subscription is providing me with most of my gaming needs, Netflix and the DNS Redirection mechanism Unblock-US to bypass any IP restrictions are here for my movies and TV Show. So I was really surprised the other day when my PS4 Blu Ray drive stopped working, for no reason whatsoever (I had never even used it!). It wouldn’t even be a concern, if it wasn’t for the huge noise that the device was emitting every 10 seconds. I eventually fixed it and want to share a few techniques below if you run into the same issue. Your PS4 Blu Ray drive is not accepting discs anymore. When it does, it ejects them within 10 seconds. Every 10 seconds, the PS4 Blu Ray Drive is making a spinning noise, trying to eject any disc that’s inside it. The sound of the broken PS4 Blu ray drive, happening regularly, might easily be mistaken with that of a loud fan, or a damaged hard drive (HDD). Let’s move on to solutions you can try. I am suggesting all solutions in the order of simplicity, so you don’t go and try something crazy first. Solution 1: Did you try turning it off and on again? This will sound stupid, but this is the first thing you should try. Turn your PS4 off (not standby mode! ), remove the power cord, wait for 30 seconds, then plug the A/C back in and turn it on again. If you’re lucky, that’s all it might take to fix it and your issue might have been a temporary glitch. Solution 3: Stupid piece of rubber! 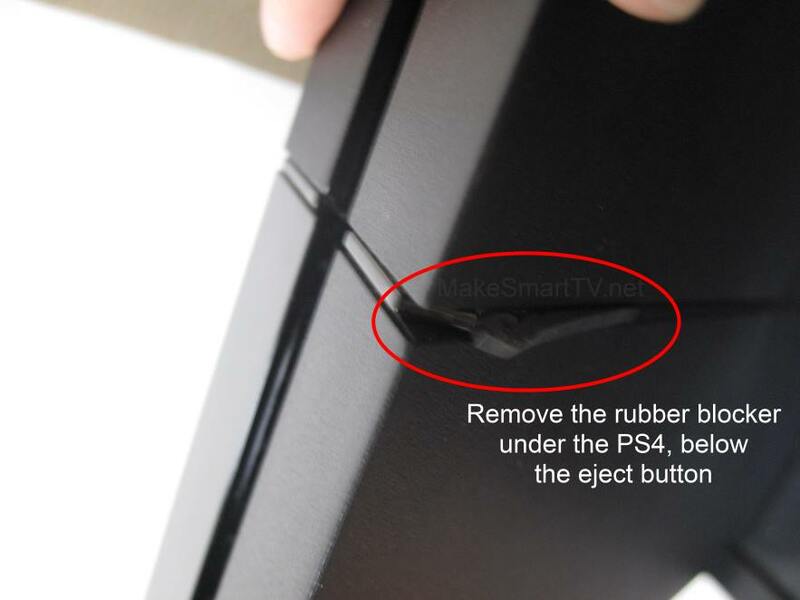 If the solution above did not work, another solution which was suggested to me, and appears to be just a superstitious move, is to remove the piece of rubber that fits below the PS4’s Blu Ray drive button. This will sound crazy but this solution is what worked for me, and it worked for several other people too, as can be seen on this reddit thread. The rubber stopper can be seen on the picture below. It is extremely easy to remove, not so to put back. In my case, removing it, then putting it back (somehow, it doesn’t fit exactly anymore) worked like a charm. Not sure why this works, it could be that the piece of rubber contributes to some overheating in a very sensitive position of the PS4 Blu Ray drive, or that it is pushing on some components somewhere up there. Attempt this solution only if you know there isn’t already a disc in your PS4 Drive! 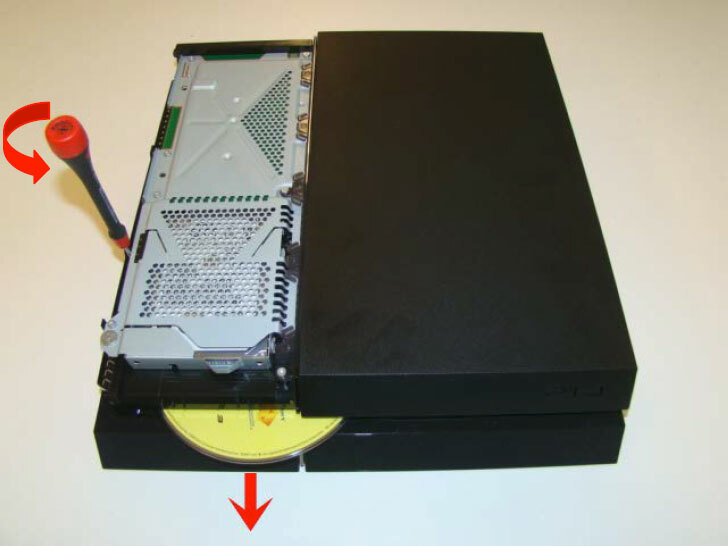 The idea here is to force something to trigger on the PS4 side, to make it realize there is no disc in the drive, by actually inserting one, and ejecting it. It is recommended to force insert the Disc in the drive while the console is turned off. Note that this requires some amount of “forcing” the disc into the device, and could damage the PS4 Drive. Use a Blu Ray or DVD you don’t really like if you are going to attempt this step. Manually insert a game disk into the slot as far as it will go. Use a 2nd game disk to push in the first disk all the way. If none of the solutions above worked for you, one last thing you can attempt is to manually eject a stuck Disc from the PS4. Now, before you stop reading this, you can still follow this procedure even if there is no disc actually stuck in your blu ray player! It is likely that this could trigger something either on the hardware or software side of the PS4, fixing your issue even if there is no disc in your PS4! 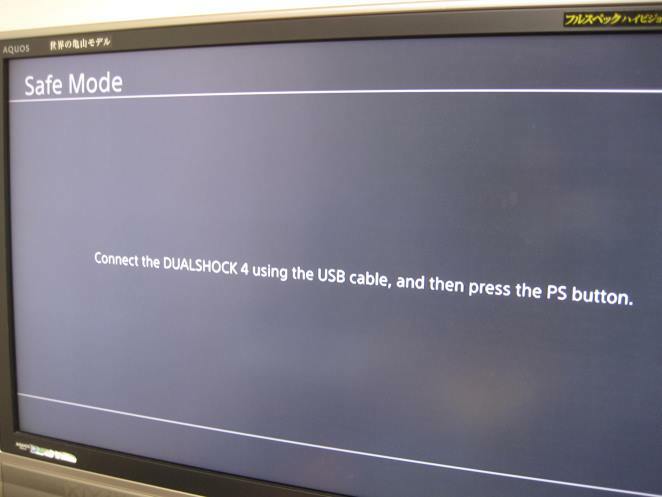 This solution requires you to open the PS4, but is not too technical, as Sony did things right. Did any of these solutions help you? Have you found another way to fix this PS4 Drive noise issue? Share your thoughts in the comments section below! No, but turning the ps4 sideways worked like a charm. Great article! I was almost returning to my technical (cause recently I have a problem involving overcharge) when I read this article. The rebuild database works fine for me. Whoa! Solution 4 was nice!